Do you have a group of you that need IPAF Operator training? Then book your course with us this May. 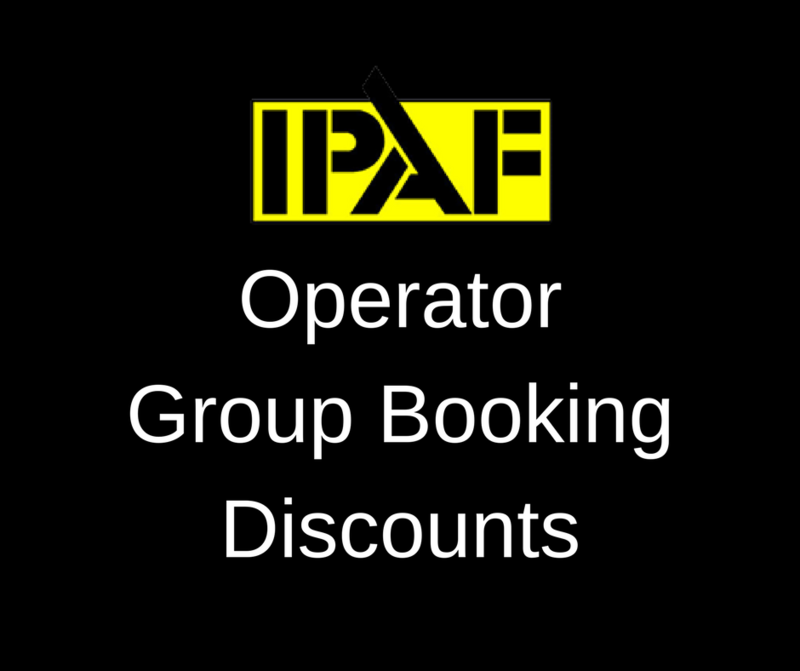 We are offering group discounts across all three IPAF Operator Categories - 1b, 3a &3b.